During my time at Savannah College of Art and Design I have experienced the best that this university has to offer. As an incoming freshman, I arrived in Savannah with a dream to learn more about the industry and craft that had inspired me to move 10+ hours away from friends and family in Indiana. That dream was animation. 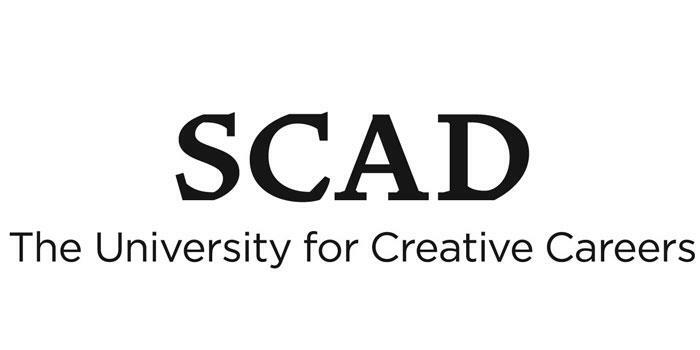 I chose SCAD because of the great lineage I saw in the university’s School of Digital Media alumni and faculty. Not only is this list highly impressive, with alumni working at power house animation companies like DreamWorks, Disney, Blue Sky, and Sony Imageworks, the network is also constantly growing as new students graduate from SCAD and become successes in the industry. I was greatly impressed by SCAD student work and their drive to learn, network, and become leaders in their fields of study after graduation. SCAD made it easy to become immersed within the animation major and meet new students. 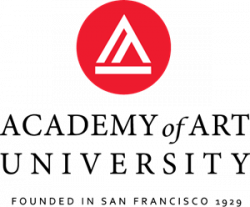 Within my first year at SCAD I began working with the SCAD Admissions Department as a Student Ambassador and became a club officer of the Animation Organization, which I am now president of. It has been a thrill to help grow the Animation Organization as a resource and collaborative organization for digital media students. From skype calls with industry professionals to twenty-four hour animation competitions, the Animation Organization has helped prepare students for careers in animation for twenty years. It has been an honor to work with my fellow AO officers and the members of our club throughout the years to keep improving it for the future generations of SCAD animation students. One of my favorite experiences at SCAD by far has been the opportunity to take advantage of SCAD’s global campuses. I have been fortunate enough to study at SCAD Hong Kong and Lacoste, France. My experiences at these campuses were truly once in a lifetime. Learning from the faculty and collaborating with new students was a very enriching experience. Even though I was miles from home, the environment at these SCAD campuses was the same. I was surrounded by SCAD leaders always willing to lend a helping hand and even had opportunities to hear from visiting artists and receive portfolio reviews while abroad. By having the chance to live in these new countries I was able to experience new cultures and explore the rich histories, while still tailoring my studies to animation. Hong Kong was a thrill of innovative and traditional aesthetics merged into a growing landscape, while Lacoste was a breathtaking window into the past surrounded by immense natural beauty. Both locations have given me endless inspiration and knowledge that I never would have experienced elsewhere. SCAD has given me many opportunities to get a taste the animation industry and network with industry professionals. I have been able to volunteer at the Savannah Film Festival and the SCAD Career Fair with leading companies like Framestore. I also have participated in the SCAD AnimationFest at the Atlanta campus, hearing inspiring talks from industry professionals like Adrianna “A.J.” Cohen from 20th Century Fox. This paired with the numerous animation companies and visual effects houses who have visited SCAD Savannah have truly given us students innovative first-hand knowledge we will take with us in our professional careers. . Looking back on my time at SCAD as a senior, I am proud to see my personal growth as an artist and as a creative leader. I have loved being able to take 3D Character Animation classes and learn about performance, story, and the principles of animation. I am excited to be in my final year working towards my thesis film project with my fellow SCAD students. After I graduate from SCAD in Spring of 2019, I will continue to explore cutting-edge opportunities, collaborate with artists and learn about the animation industry using the skills I have acquired at our preeminent university. I knew from a young age that I wanted to be a part of the animation industry and SCAD has given me the tools to help direct my passion. The images below are from Wynne’s senior project film called “Wander”, on which she is working with other SCAD students. She is currently doing pre-production and concept design on the film and will continue with all animation once finalized. All of this art was created with the iPad Pro application, Procreate. Digital painting of our main character, Nia as she sets off along the forest path. I created this concept piece to get a feel for the atmosphere and color of the final render of the film. Digital drawings of Nia's expressions. I created these expressions to help our riggers create pushed blend shapes to allow believable emotion and performance when animating Nia. Digital drawings of our ducklings fur/feather patterns. I created these fur patterns to give our look dev. artists inspiration when creating the ducklings' fur and textures. Digital paintings of hero trees for the film. These quick paintings allowed us to begin visualizing the shape language and colors of the trees within our forest.